I joined twitter about 2years ago, but only started taking it seriously late last year. So far, I love it! twitter is very interactive and responsive. I have a couple of followers and some fellow bloggers I often interact with, e.g @cassie_daves @worshipandswag, @chinomnsop @sisi_yemmie to name a few. I’m quite active and I discuss everything! so kindly follow me ^.^ . But to catch up in real time, Join twitter and don’t forget to follow me ! “Actually the driver wasn’t even a Muslim, I assumed she was. She was an Indian pagan”. “On hearing that I was so passionate about “correcting” her notion on God’s faithfulness, trying to explain the Concept of Grace. “I went on as if I had the power to “convert”or help someone experience a conviction. Forgetting that my job may just be to plant that seed. “You can preach all day long, but remember your job is NOT to “save”. Your job is to demonstrate the love of God. 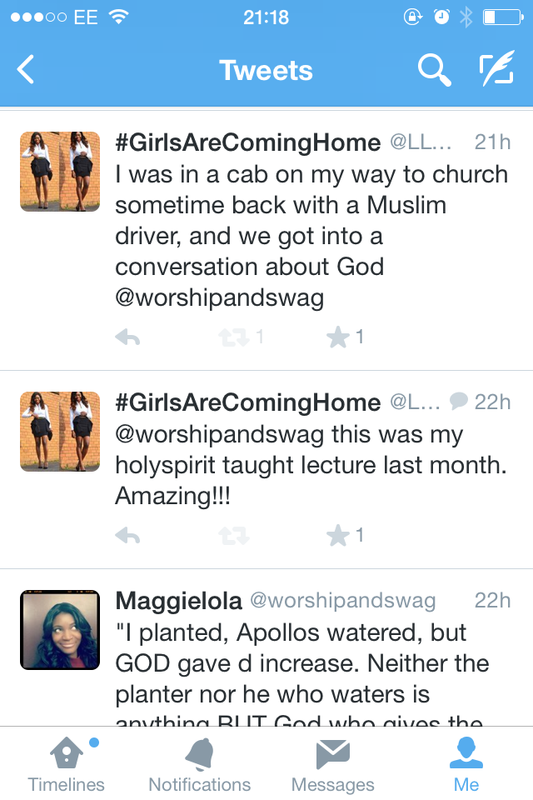 “That just changed my orientation towards evangelism or outreach. Let the Holy Spirit do his job. “The moment you grasp this, your walk with Christ & others becomes easier. You meet someone, SHOW the love of God & if necessary use words. “Which brings us back to being a child of God, you are as bold as a lion, the light of the world, like a city set on a hill that CANNOT be hidden. “Dear friends, you CANNOT be truly sold out to God & the world won’t recognise the paradigm shift. You must be different! You must stand out. “What will be your witness? What makes you approved if you’re just like the rest? “Let me back it up scripturally why you must show your self approved. The importance of doing good works, and even men should recognise. These days, I find myself gradually distancing myself from social media. However, I cherish each moment and the learning experience from the relationships I’ve grown over the past few months. Tosin is a lady/side hustler/entrepreneur I admire and keep on my “To watch” list, and below is the conversation we had last weekend. It did wonders for my faith, and I can’t wait to hear your testimony as well. Please read and share after you’re done! Your job is to demonstrate the love of God. I will keep trying till I get it. Reading this post reminds me of my uni days, when it so happened that my path crossed with a lady who had the desire to please God but the company she kept, didn’t make that desire a reality. Anytime she needed my help, I helped as much as I could. Till date, I cannot even explain how I didn’t ‘judge her’ or stay away from her considering that I knew she had a choice to make but she wasn’t making it. By God’s grace, I was led to keep praying for her even when I graduated and she had to repeat some courses. I migrated away from the city, didn’t even keep in touch; but all I was doing was praying for her. A year and some months later, she reached out to me on FB and said ‘thank you for………, God saved me, I’m done with my bachelors, I’m doing my masters in USA’. I was marvelled. I guess I didn’t understand how potent prayer is, and how showing love preaches to a person. It was just a seed I was led to plant. And God gave the increase. Indeed, the work of the Holy Spirit is to convict, while we show love or preach the Word. But we can’t force a person to know God immediately we share the love of Christ. We are to plant or water, as it may be, but we are not to prescribe the time of the increase; that’s His work. 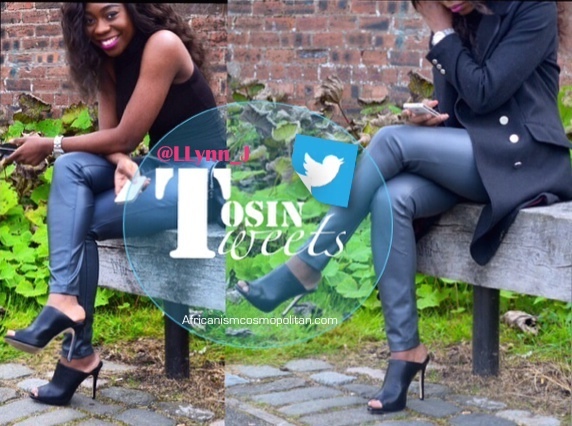 God bless you Tosin for sharing this experience. It blessed me. Yep, really enjoyed this read! It comes from the inside out. Ah. This is too deep! I’m going to ruminate on this tonight. Thanks for sharing!